Big, bold blooms cover the plant in midsummer and again in late summer, as this variety blooms on both old and new wood. Even if a late frost kills off your buds, it will still bloom in late summer (great news for northern gardeners!). 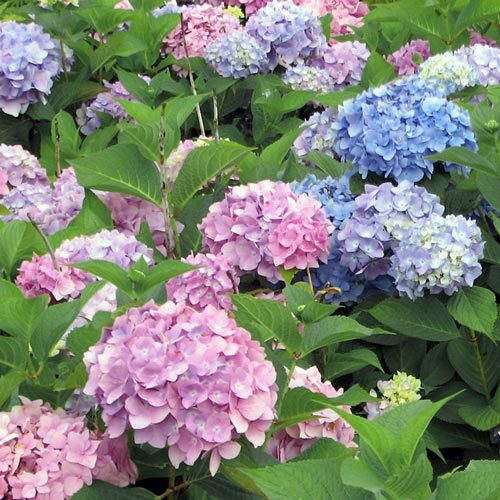 Large 4-6" bloom heads are pink in alkaline soil, blue in acidic soil, on a compact 3-5' plant. 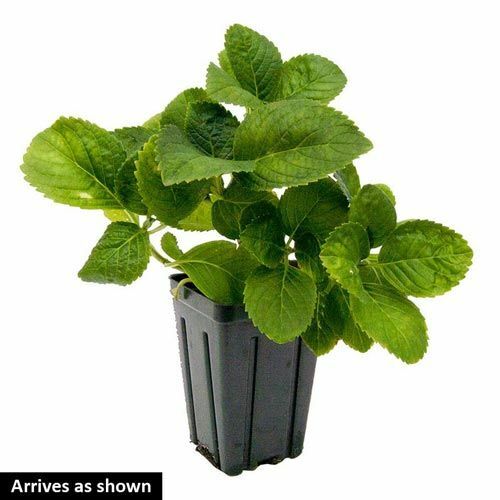 Likes moist but well-drained soil. Hydrangea macrophylla 'All Summer Beauty'. Foliage TypeRounded, dark green leaves with coarsely toothed edges. Flower FormNearly spherical flower heads of numerous sterile flowers. Soil RequirementsWell drained, moist soil is preferred. Flower color will change if soil is treated. Winter CareShould be mulched and protected in the Northern zones. 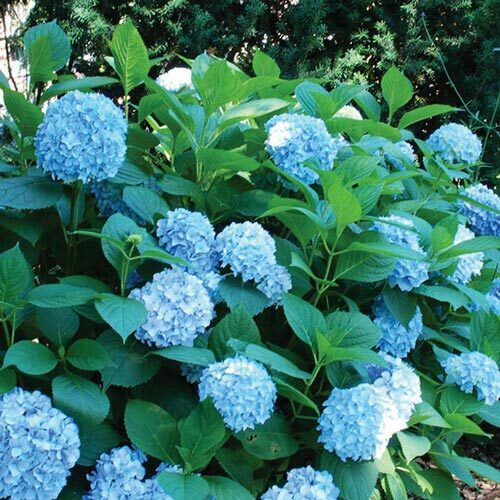 Additional InformationAdd aluminum sulfate to your alkaline soil to achieve blue blooms (pH about 5.5). For pink blooms add lime to acid soils to raise the pH to 6.5 to 7.5 range. Planting InstructionsBest in morning sunlight and afternoon shade.